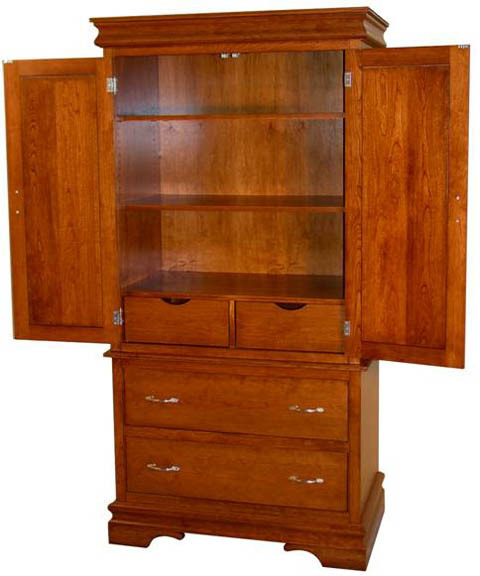 The Best Amish Made Furniture - At the Best Prices! Here is an inside view of our Amish crafted Heirloom Sleigh Armoire that shows you the 3 shelves and the two bin-style drawers hidden by the doors at the top. Plenty of room for all your bedroom storage needs.